Hey There!, How is your Friday going so far? Mine is good. The weather seems to be okay right now. So on Instagram there is this Weekly Nail Art Challenge (wnac) that's hosted by +Simply Nailogical, @missbellatracey, and @kgrdnr. I decided to give it a try after Tricia told me to just try it out. I'm pretty excited to try out something like this seeing as I usually shy away from things like this. 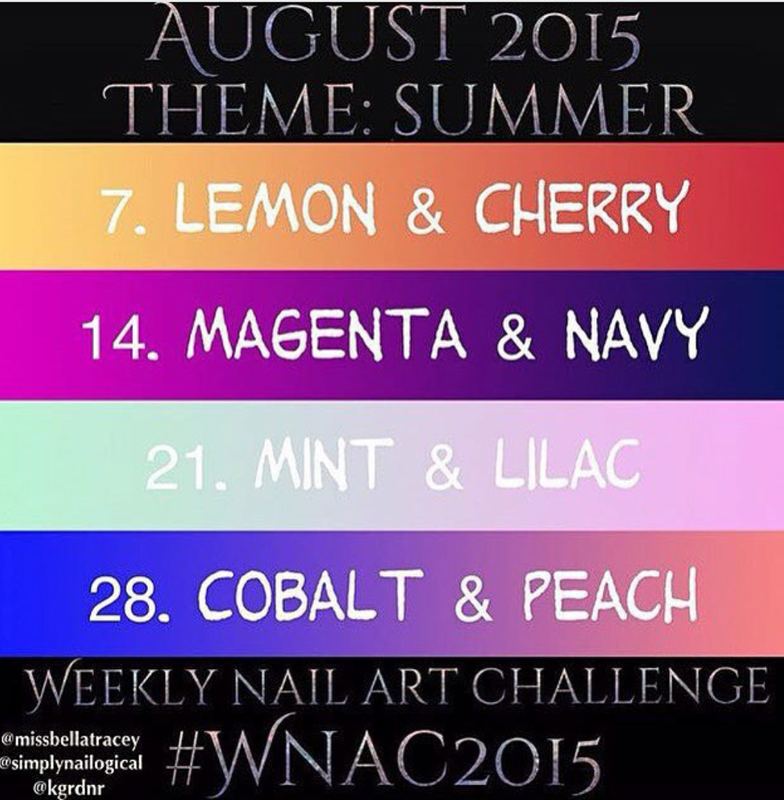 This weeks prompt is Lemon & Cherry. So let's take a look at what I came up with! Here's an image of the prompts for any of you interested! Alright onto the nails that I did. I can't draw to save my life. I mean I literally draw stick figures. But I decided to step out of my comfort zone and try to do a challenge. So here is what I came up with for Cherry & Lemon. I think that my cherries are cute if I do say so myself :P.
Here's a close up of my cherries. 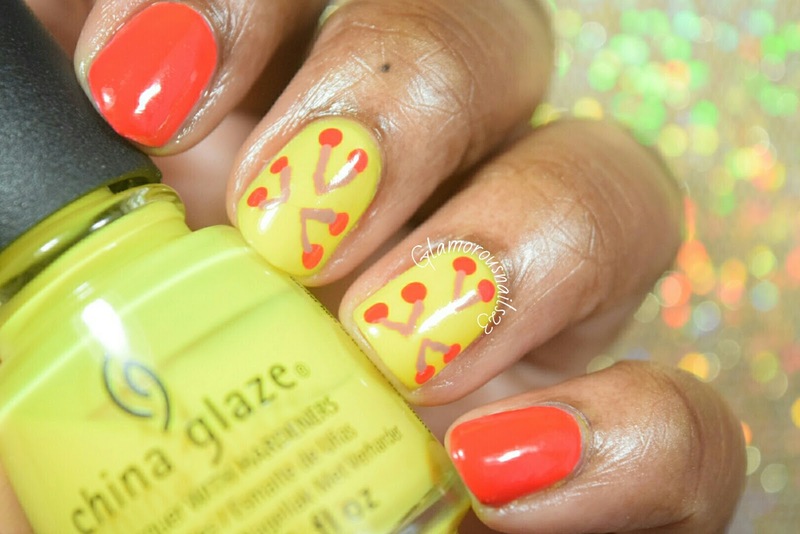 Now that I think of it may I should have attempted some lemon slices on the red nails. It's okay though. Surprise!!! Hehe. I swear I'm addicted to glow in the dark polishes LOL. What did you think about this design? 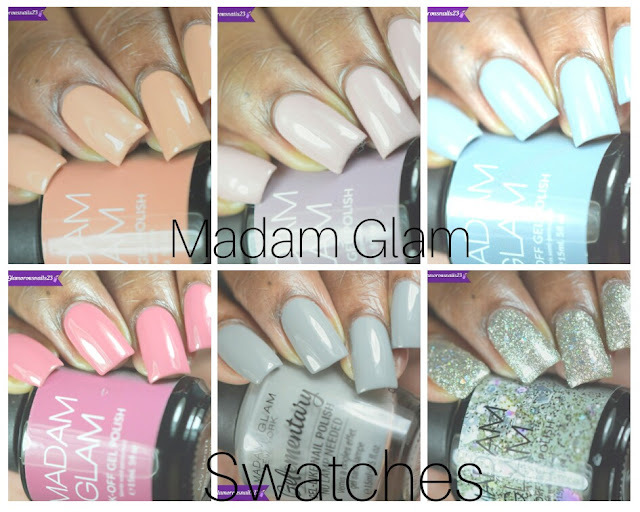 Have you taken part of any Weekly Nail Art Challenges before? Are you going to take part in this one? 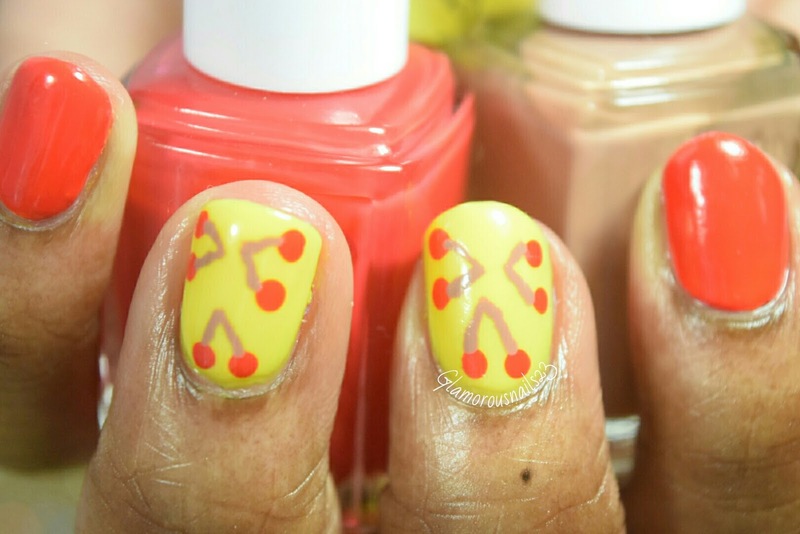 Let's chat nail art down below! Thank you Bubica! Yes I had too :(. I was trying to make sure that my daughter didn't get hit by this car that was speeding in the parking lot by her daycare and broke three of them:(. Hopefully they grow back soon! Yup! As long as we're both okay that's all that matters! Yah I tend to be like that sometimes as well! Awe it's okay Bubica! I can still understand you very well even though English isn't your native language! What is your native language if you don't mind me asking? thank you dear , if you dont mind :) my language is Serbian.i am from Europe, Serbia . Wow that gitd pic is everything! Wonderful GITD! I just did a GITD mani last night! Love it! Thank you!! bGITD manis are always fun! Great job with these! 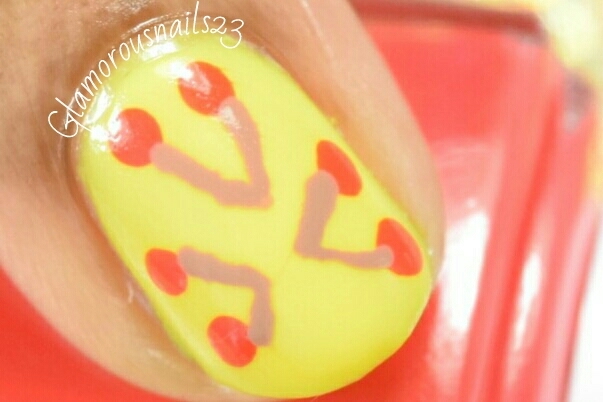 I haven't done this particular challenge, but I love nail art challenges! I do one every month, really gets me out of my box to try new things. This is the first time that I've tried this one and I am enjoying it. I'm thinking about continuing with it and then maybe doing even more later on! Thank you! So cute! Somehow in 400 bottles of nail polish, I don't own a single GITD. I should remedy that. Thanks Karen! Whaaatt!! 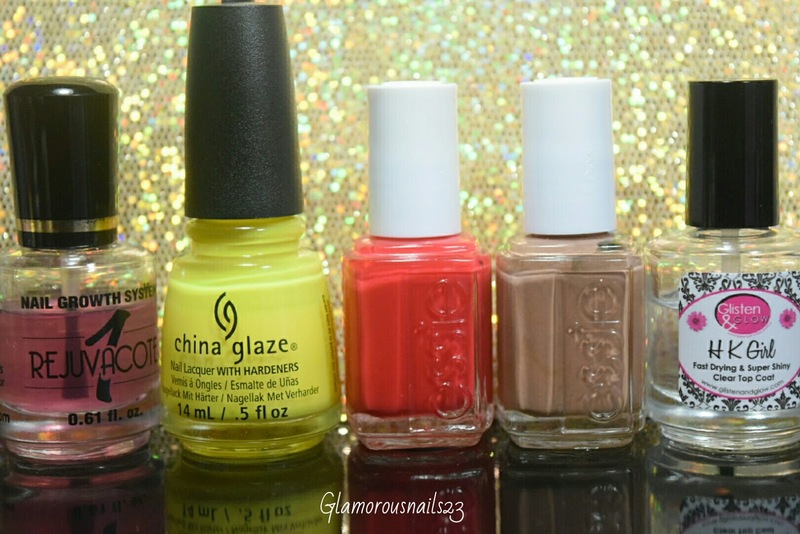 You need to add some GITD polishes to your collection. Lol. Cute ! It screams summer !!! so pretty and bright!! i love it!! Thank you! GITD's are so much fun! It's like you have two manis in one! 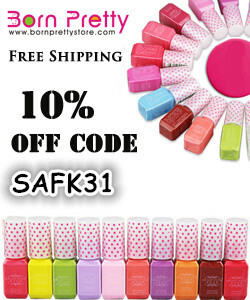 These are awesome and your nails are so SHORT!!! I love them this length :) They look really great!! I know!!! :( LOL. I'm not used to short nails but I think slowly I'm starting to get used to it. I want some length but I may not grow them out as long as they were before! Lmao. Awe thanks!! SO cute! I love the cherries! You did a great job, can't wait to see what you come up with next! Ah! You cut your nails! Nah, I'm just kidding. I read the reason why in the comments above. 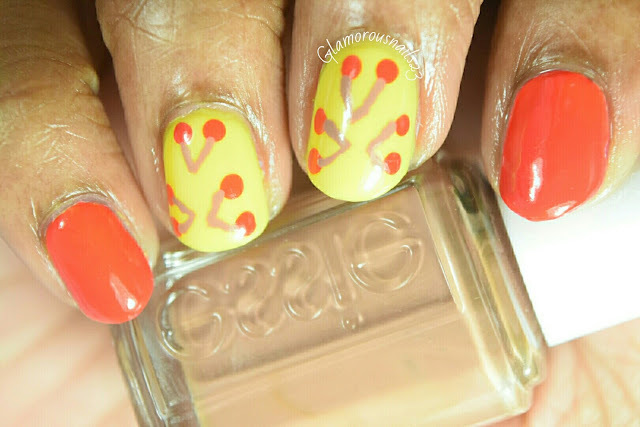 Your cherries came out super cute and I love how the polish glows in the dark. LOL. Thanks for that little laugh. I actually needed that. Thanks Nadia! I was shocked to see short nails! They look good on you! I'm happy your daughter is ok. That's what's most important!! Lol! Awe thank you. I've actually gotten a lot of compliments with the short nails. I just think they make my hands look fat LOL. Thank you! Yup that's definitely what's important.